Since its arrival on the Indie Games Summer Uprising seasonal promotion, Doom & Destiny has become one of the most enjoyable and highly rated Xbox LIVE Indie RPG’s on the marketplace, rating it among one of the best titles available on the service. Not only does the game offer classic bit-style graphics (something that many gamers who grew up in the NES generation–including myself–feel a deep connection to) but allows players to relive their memories playing old-school turn-based JRPGs on early consoles. Additionally, D&D has a distinct brand of satirical humor that aims both at pop-culture references (anime, movie quotes, even some memes thrown into the mix) as well as classic video games. It’s truly branded for the NES generation of gamers, fitting to many of the things that defined the generation as a whole. While many games on the XBLIG marketplace receive regular updates and patches, many of these updates are minor and don’t necessarily equate to extra gameplay. Heartbit Interactive–the development team behind D&D–goes way beyond the call of duty to bring impressive chunks of additional gameplay in the form of FREE DLC-like patches. In celebration of Doom & Destiny’s first birthday, the dev team has announced that an “ULTIMATE” content update is inbound, promising to add a slew of new areas, weapons, items, enemies and more to the already voluminous RPG. A screenshot was released to show off a revised edition of the in-game continent–which is quite huge considering it’s an XBLIG title. 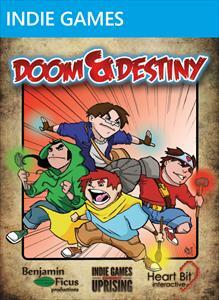 “One year ago, Doom & Destiny was released on XBLIG during the Summer Uprising! To celebrate that day, we will release soon the last and most epic update of the game! +10 new dungeons, +70 new monsters, +40 new pieces of equipment, +16 new outstanding Powers, secrets, challenges, quests and the level cap increased to 99!!! and as always, IT’S FREE!!! This isn’t the first massive update that Heartbit has released for their Xbox Indie RPG. 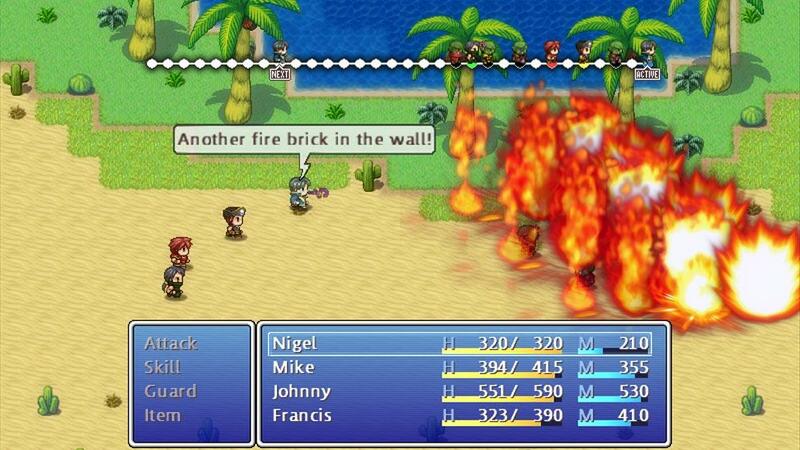 The team has been quite consistent on expanding the title in many areas, adding a variety of elements that breathe new life into the game and allow players to continue on their journey through satirical references and classic JRPG combat. For a mere 240 MSP ($3), the game offers many hours of classic role-playing gameplay that brings players back to the good old days of SNES and provides a distinct experience that isn’t often found on the XBLIG marketplace. For more information on Doom & Destiny, check out Heartbit Interactive’s official website or click the game’s box art for an official Xbox Live Indie Games marketplace link. Want to know why the game is awesome? Check out our Doom & Destiny review. Also don’t forget to check D&D’s official Facebook page for exclusive updates right from the development team!